The Career Resource Center is open! This pilot project between Tarlton and BJC HealthCare showcases careers in union construction trades and in healthcare. 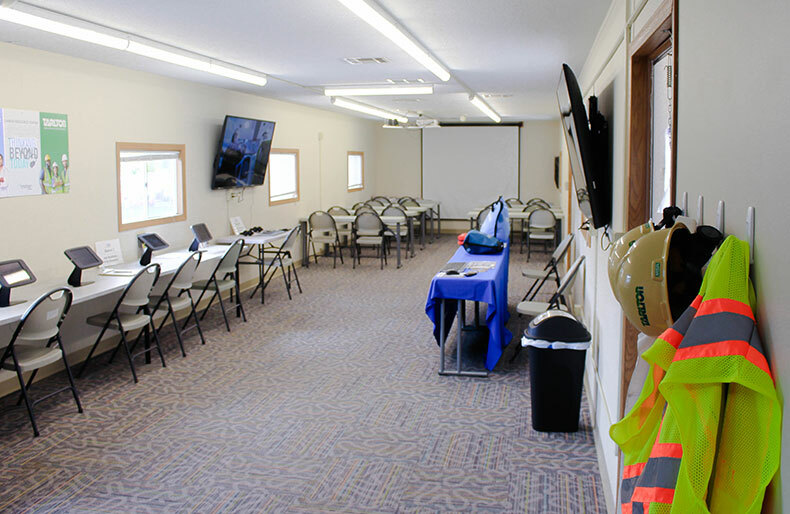 The center is housed in a converted construction trailer on the site of the future Siteman Cancer Center on Christian Hospital’s Northwest HealthCare campus. The center is open one morning each week (by appointment only) and on the third Saturday morning of each month, when guests can drop in. We are welcoming guests from Sept. 4 through Nov. 11, and again from Jan. 8 through April 23. High school students will have the opportunity to meet representatives of labor organizations, community agencies and others who can shed light on the potential of careers in the construction trades. Through our project partnership with BJC and Christian Hospital, the Career Resource Center also features information about jobs and careers in healthcare, with job interest surveys and hands-on activities planned to give students a glimpse of what certain jobs entail in our respective industries. On the scheduled weekday visits, Tarlton project team members will take visitors on a tour of the Siteman Cancer Center site for a real-life look at construction in progress. We’re super-excited about meeting and further educating tomorrow’s builders and future healthcare workers in the Career Resource Center. If you’d like to inquire about a visit for students from your high school, please email BeyondToday@tarltoncorp.com or call Kem Mosley, center manager, at (314) 755-1126.